Every family has restaurants that hold a special place because of the attached memories. Many come to mind immediately. Al's Diner, where I went on many dates with my husband before we were married. Schools, in Calumet City where our family would go for an occasional burger. The Pump Room, where my husband and I went after prom. Carlo Lorenzetti's, where we had family parties and played bocce ball together. Leona's where my sis and I would get pizzas when I'd visit her. Calumet Fisheries, where my husband and I often went in high school and he'd peel all my shrimp for me. Vessuvio's Pizza, where we always ordered our carry-out pizzas growing up. RX Cafe, that became a favorite of all of us sisters when we visited during Sisters Week in St. Charles several years ago. Some of those places no longer exist. Another spot we frequented with our parents as teens was Fuddruckers in Calumet City. It's probably my dad's favorite place to go for a burger and we would make lunch dates there on occasion with my kids or just him and I once my youngest started kindergarten and I finally had a kid-free lunch time. When that location closed, we didn't think there were any others in our area. Dad was bummed. So was I. I enjoyed going there with him for a meal. 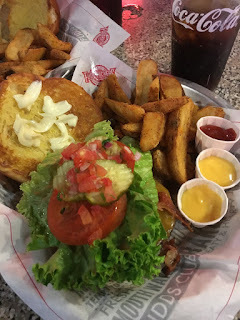 Then one day I came across something on Facebook about Fuddruckers and realized there's a location not all too far away in Matteson, Illinois. It's less than a half-hour trip, so we head out there once in a while so dad can get one of the burgers he so enjoys and the potato wedges that I can't resist. I signed up for their e-mail list and probably once a week I get an email with some sort of special. 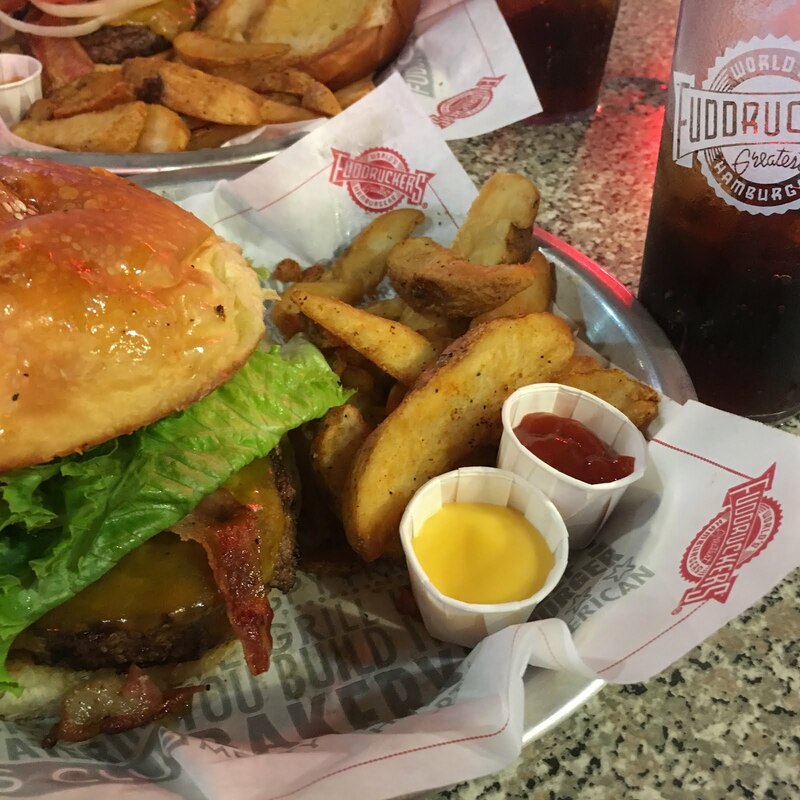 Sometimes it's a full meal for $8 (burger, potato wedges and drink) and sometimes it's a buy one, get one free deal. I love getting those in the mail, of course, because it's a money saver, but also because it reminds me that it's been a bit since dad and I had lunch together and it prompts me to set up a lunch date where we can have a meal and chat about the grandkids or politics or our very favorite topic - the Chicago Cubs and how the season is looking. For more on the menu and locations, visit fuddruckers.com.